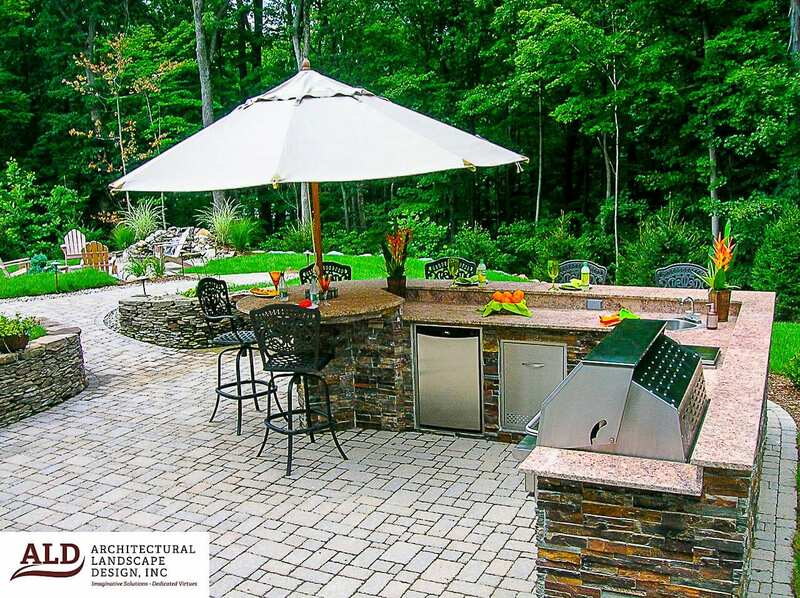 A stone based outdoor kitchen is something that a lot of us may have thought about in the past. Why not turn your dreams into a reality with some of these stylish ideas? The sky is the limit to what you can do with these ideas. Imagine being able to easily cook your custom gourmet oven fired pizza’s right from your property? If you like to entertain then, a pizza oven can offer a lot of fun filled nights and good times. An outdoor oven can be designed that perfectly matches your style. A brick oven style is popular and can look great. For a funky look, you can use an adobe or cob style covering and even include polished stones or create a mosaic on the outside. A stone or brick outdoor oven can often be covered later on if you decide you don’t want the look of stone or brick anymore. Mosaic tile exteriors with a few mirrored tiles mixed in can be stunning to look at. Since your oven is going to be a major piece in your landscaping and patio, it is important that it be attractive even when not in use! With the availability of outstanding and affordable projectors and screens, you can have your outdoor movies of your favorite films. This is a fantastic way to get everyone together for a night out without the high cost of heading out on the town. You can enjoy old favorites or screen the latest and hottest releases from Hollywood. If you like to drink beer, seltzer, or soda then why not have them on tap and at hand? If you prefer smaller sizes and don’t want to maintain a keg system, then an outdoor fridge can be a great way to go. The fridge or tap can be made to fit in perfectly with your patio and outdoor kitchen. No more having to tote ice or being forced to endure a warm beverage if you don’t want to make a trip back to the house! Sometimes you might just want the warmth and atmosphere that an outdoor fire can create. When friends or family are around a fire can truly draw everyone together. Fire pits can be created in whatever size you want. Rock fire pits with metal inserts are very popular and look great for decades. A grate can be added for cooking so you can have all the fun of a campfire cookout with the comfort of being in your space and home. A retaining wall is often necessary for patio construction. If your patio area is somewhat lower than the rest of your property, then you can find that during rains you have dirt and debris building up on your patio. A retaining wall combined with good landscaping will hold soil and other debris back, so you don’t have all that erosion causing a lot of problems for you. Retaining walls must be well designed and done by an experienced team to perform well. Strength is the key to the design of a retaining wall. In short, the more you have above that you are trying to hold back, the stronger it needs to be. A pro will make sure that you have proper footers and support so that your wall doesn’t crack or warp in the years to come. Built in seating is another option. Stone or concrete benches built into a wall can be nice feature, especially in areas where space may be more limited. For extra comfort, you can put outdoor cushions and pillows on them when in use. If you don’t want to use the area for seating you can use it to set plants on. Ledges and benches are truly multi-use patio feature that you can trust. Of course, you will want some seating that you can arrange as you want on demand. Take a tip from a pro and make sure to buy quality outdoor furniture. Cheaper furniture can be made with poor materials and will not hold up over time. In fact, even if a chair is rated to support up to 300 lbs, over time it can lose strength if not cared for properly or if it wasn’t made well to start with. Having furniture fail can cause serious injuries, and it is just not worth the risk to save a few hundred on a patio set. Seating that is good for all sizes of people is important as well. Kids need a chair that is comfortable for them to sit in safely. If you don’t have a lot of young kids around this might not be as important to you until you want to have a gathering. A few sturdy but inexpensive smaller chairs can be stored easily for these times. If you like to help out others or work with a nonprofit then creating a space for entertaining fundraisers could provide a lot of support for your cause over the years. Selling pizza by the slice or charging a small fee for movie nights makes for a fun night of caring and giving for everyone. Nonprofits can also use the space for volunteer get-togethers and for recruiting and educating others about a cause. Bringing people together is not always easy in today’s busy world, so anything you can do to encourage camaraderie is a good thing. 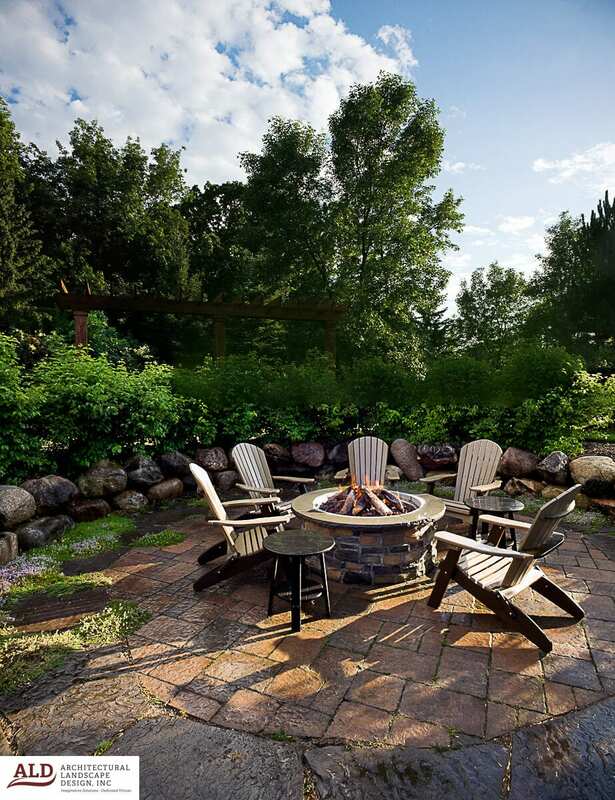 If you have a camp or lodging that caters to conferences or company retreats, then an outdoor kitchen and entertainment area will be sure to delight everyone. It is a great way to bring everyone together and provide inexpensive entertainment and fun over the years. Areas that are made to accommodate larger crowds will, of course, require a longer construction and planning process but will be well worth. You will be amazed at how much good outdoor spaces can boost your business.